Oh shut up. The car is still the most important part of a race. It matters not which fiber bead is ahead of the others. This is a set of six big hole fiber beads, jaunty in it's racing style presentation. 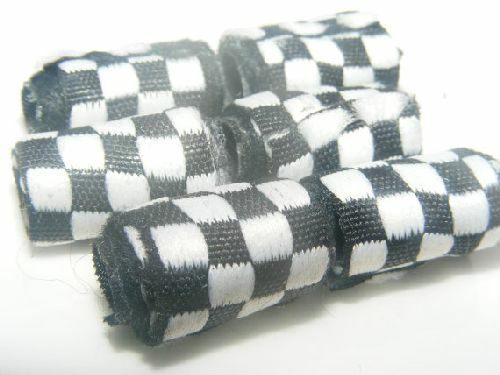 Black and white checks make this a simple bead to help you get into the mood for racing season!